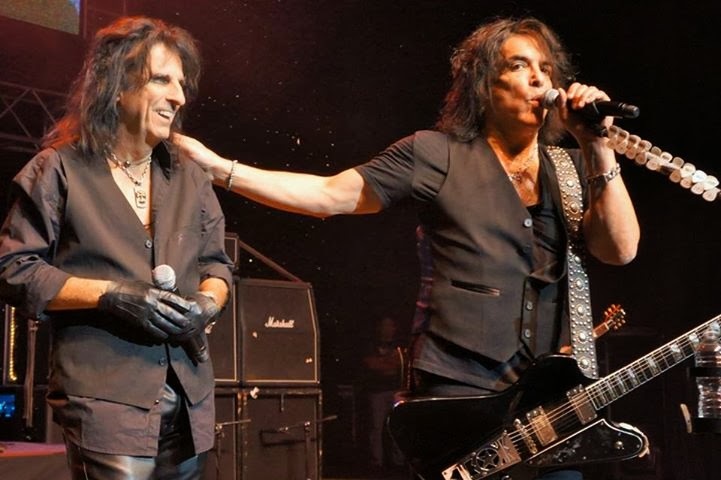 Here's Paul Stanley on stage with Alice Cooper at Alice's Christmas Pudding benefit in Phoenix last night. Paul was reminiscing about a great Alice Cooper concert he attended at Madison Square Garden in the '70's. He went on to say it was one of the greatest shows he has ever seen. Alice had some very nice things to say about KISS, too! He opened his set by saying "Nobody deserves to be in the Rock and Roll Hall of Fame more than KISS!" Later in the evening, Alice introduced KISS by saying they were the greatest American rock band!